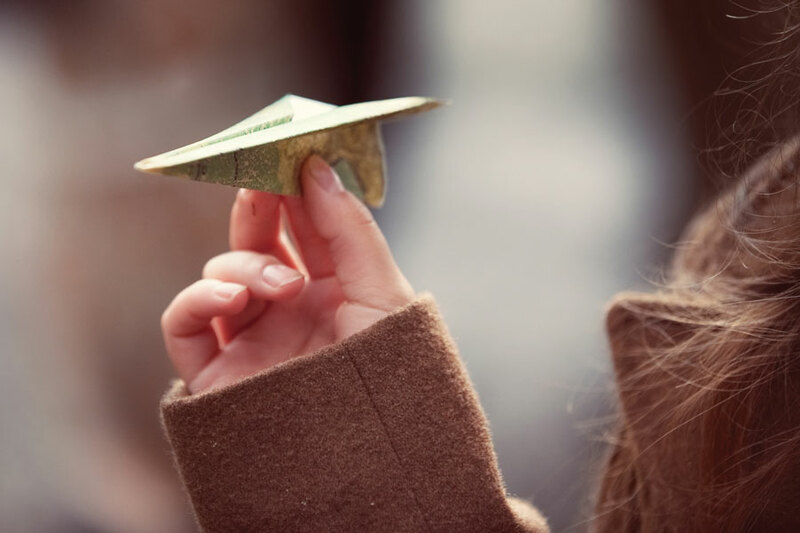 As newlyweds Matt and Lane Lewis dashed between lines of cheering family members and friends, little paper airplanes soared through the air around them for a whimsical bon voyage. It was a fitting send-off after the couple’s Old World–themed 2012 wedding at Oxbow Park outside of Portland. Created with friends before the wedding out of vintage-style map paper, the paper airplanes’ design took a bit of trial and error. “We tried several designs until we found the perfect airplane: sharp enough to fly, but not enough to put out an eye,” laughs Lane. 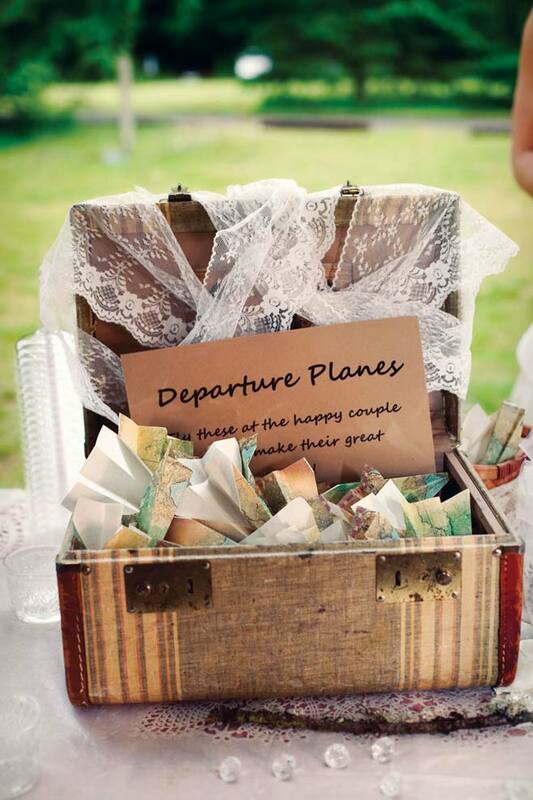 At the wedding, the fliers awaited takeoff in their own quasi-airport: a vintage suitcase with a label that read “Departure Planes.” “It was such a joy and a blessing, and the planes turned out great,” recalls Lane. “I even kept a few as keepsakes.” Similar vintage-style map wrapping paper, $3.95 per roll, Paper Source. Ducks and Beaver fans, listen up: There’s no reason to forget about your team on the big day. For many couples, pets are family—really cute and furry family that deserve a special place in a wedding day. Wedding math should be easy: You + Me = We, right? For Portlanders Jonathan Young and Lindsay Walton, the calculations were a bit tougher. Crisp mountain air, exercise that leaves muscles deliciously relaxed and a cozy fire-lit place to curl up with your honey are just a few perks of an active winter honeymoon.